This 100% cotton white chemise has a drawstring neckline to wear on or off shoulder, elegant lantern sleeves have elastic gathers at the elbows, ruffles below that, and below the ruffle, a wide, full cuff. 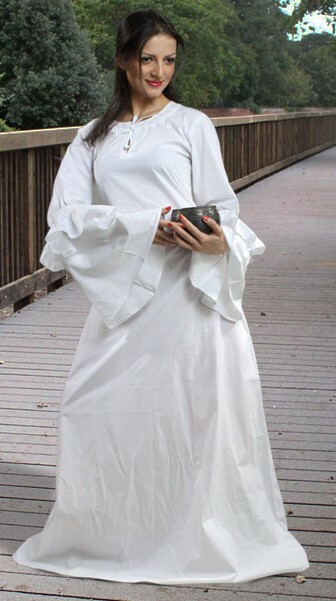 Looks great with many period dresses, but looks especially fine with our Angmar Overdress. Sizes S-XL.